On Friday, July 21, 2017, the U.S. Department of Transportation (DOT) reported fines against three U.S. airlines – American, Delta and Frontier – for violating the Department’s airline rules aimed at protecting consumers. The violations, which were related to refunds, disability assistance, and other issues, totaled $850,000 in fines. Frontier Airlines, a low-cost Denver-based carrier, bore the largest fine of $400,000; the result of oversales and disability rule violations. American Airlines, based in Fort Worth, Texas, was hit with the next largest fine of $250,000 for failure to make timely refunds to passengers. Delta Air Lines, headquartered in Atlanta, faced the smallest fine of $200,000; the result of filing inaccurate baggage reports to the Department. If airlines are going to sell additional seats on already full planes, they must provide adequate compensation and other protections to passengers. In 2014 and 2015, the DOT received more than 200 complaints from Frontier’s customers concerning the airline’s neglect for its passengers, who were left without a seat on a flight. Furthermore, in addition to violating the overbooking rule, Frontier was fined for its failure to provide disabled passengers adequate wheelchair assistance upon boarding and exiting the plane. The DOT claims, in its consent orders, that Frontier is yet to sufficiently respond to the complaints filed by affected passengers. American Airlines has faced similar charges for violating consumer protection regulations. After receiving multiple consumer complaints, the DOT investigated American’s refund practices in 2016. According to the DOT, American Airlines failed to process a significant number of refund requests in a timely manner in the first and second quarters of 2015. 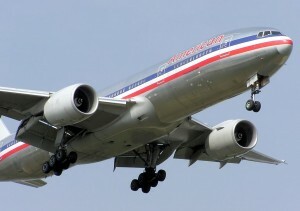 American claims the issues were the result of its merger with U.S. Airways and that, at the time of the complaints, the airlines’ refund and customer relation systems were being combined. Nevertheless, the DOT remains committed to ensuring that airlines provide timely refunds to customers. Under the Department’s regulations, failing to do so is considered an unfair and deceptive practice. In order to comply with the regulations, an airline must provide refunds within seven days of receiving documentation for consumers’ credit card purchases, and within 20 days for cash purchases. Furthermore, the DOT strictly adheres to its policy of requiring airlines to report the number of mishandled baggage claims it receives from passengers. After an investigation, the Department found that Delta Air Lines had a “problematic internal policy.” Such policy provided, if the agency could not settle a mishandled baggage claim with a customer, the agency had to create the claim. It did not require a claim to be made, however, if the agent was able to provide a replacement bag. As a result of this policy, Delta was able to underreport its number of mishandled baggage claims, which in turn, gave the airline a higher rating in the Department’s Air Travel Consumer Report rankings. Delta has since replaced the policy and currently plans to develop a $1.2 million mobile application to improve its lost-bag recovery process and minimize passenger inconvenience. In sum, all three airlines report compliance with consumer protection regulations is a top priority. Nevertheless, incidents such as these require the DOT to closely scrutinize airlines to ensure fair treatment of passengers and adherence to the Air Consumer Flights and Rights. Looking forward, the DOT seeks to take greater strides to keep passengers informed of their flying rights and make such information readily accessible to travelers. Lasley Cash is a second-year law student at Wake Forest University School of Law. She holds a Bachelor of Arts in Business Administration from Furman University. Upon graduation from Wake Forest, she plans to practice business law in North Carolina.